Once again it’s time to find a creative, entertaining and useful gift for the favourite editor in your life. In this year’s round up I’ve brought together seven of my favourite things from 2017. So it turns out you can make these nice looking Gift Collections on Amazon.com, so I’ve put together one for all the Christmas Gifts for Film Editors, I’d recommend. I’ve added in a few things from other years too, so click through to have a look! I’m a big fan of the amazing opportunity that Masterclass.com offers, which is a rare chance to learn from some of the very best in the business, at an affordable price. 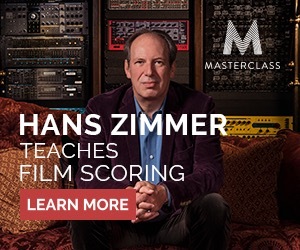 I’ve previously reviewed both the Aaron Sorkin Masterclass on Screenwriting and the Hans Zimmer Masterclass on Film Scoring, both of which are excellent and I would highly recommend. I’m also looking forward to reviewing the Scorsese Filmmaking Masterclass when it launches too. What’s probably most exciting is that Masterclass have just created an ‘Annual All Access Pass‘ which, for the price of two individual masterclasses, give you access to every single course on their site for the next year. But it also includes Masterclasses from a whole range of fascinating people like Actor Samuel L Jackson, Chess Master Gary Kasparov and Journalist Bob Woodward. So, as a person who tries to be continuously curious, I have no idea what Herbie Hancock teaching Jazz or Stephen Curry teaching Basketball or DeadMau5 teaching Electronic Music Production will add to my understanding of editing and post-production, but I’m sure I’ll learn a lot from some incredibly hard working and talented people, and it all adds to the mix. Plus all of these Masterclasses are just so well shot, edited and put together, that they make for more entertaining and engaging viewing than many a box-set or streaming series. IMHO. The team behind Masterclass.com will no doubt be adding further master’s of their craft to their library throughout 2018, so you’ll continue to get some added value for the next 365 days. So for $180/£140 you can give the gift of expert teaching and a renewed depth of understanding around a whole host of creative and artistic talents. You can also gift individual courses too, for $90/£70 each. UPDATE – June 2018 – New 7 Day Free Trial! Thankfully you now no longer have to take my word for it, as Masterclass.com has launched a new 7-day free trial, allowing you to check out the entire site for yourself! The free trial signs you up for the All-Access pass, which bills annually at £170/$180 or about £15/$15month, so if you don’t want it to auto-renew be sure to set a reminder to cancel. There is a 30-day full money back guarantee though, so if unlike me you don’t get hooked on learning from all these masters of their craft you can get your money back. 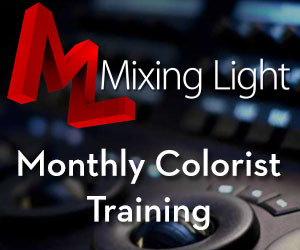 Sign up for a 7-day free trial of Masterclass.com! One of the best gifts I got last Christmas was this 2017 New Yorker Daily Cartoon Calendar. Some days are funnier than others, but it’s always the best way to start the day when I sit down at my desk. Plus if you really want to you can tear out your favourites and keep stick them on the wall when you’re in need of a little lift. I’d definitely be happy to get this again for 2018. Hopefully it counts as a tax-deductible office supply? For the second year running I’m recommending a long iPhone charging cable, as they’re just so darn useful. Especially in comparison to awkwardly short cable you get in the box. Unless you’ve sprung some serious cash on a wireless charging model, that is. 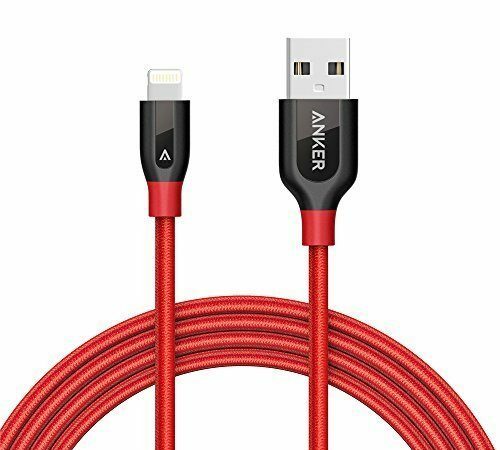 I included these 6ft cables in my post about 5 Useful Things for Your Edit Suite and they make for a handy stocking filler gift! Either way, these cables are a firm favourite in our house, although in an effort to curb our latent addiction to always being online, we’ve reverted to leaving them at a charging station downstairs. Freedom is leaving them plugged in, so we can unplug. 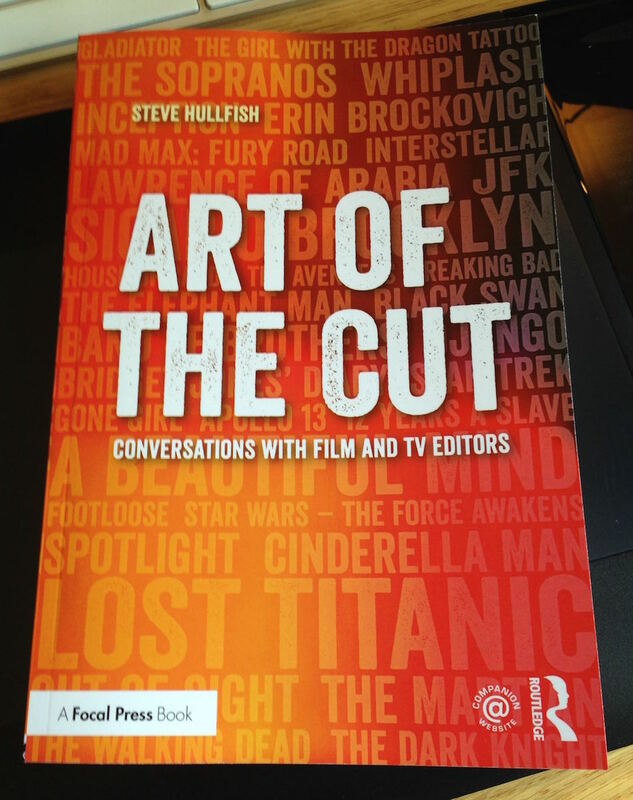 If you’re looking for a book that will both entertain and inform you on the craft of film editing, then Steve Hullfish’s excellent The Art of The Cut is just what you need. You can check out the rest of my review here, but the whole book contains so much insight, wisdom and practical technique that you’ll be able to re-read it all year. Personally receiving any one of these whisky’s would be a delight and would undoubtably last me the whole year. Even if you already have a nice collection of whiskey’s then hopefully you’ve got room for one more. Whatever your favourite tipple, please drink responsibly. This diminutive hard drive (7.5 x 6 cm) packs quite a punch, but doesn’t come cheap at $177.99 for a 1TB version. But if you need something fast and portable, then this is an excellent choice for almost all your editing needs. I originally discovered the older (and now slightly slower) Samsung T3 drives after FCPX editor Thomas Grove Carter recommended them in an interview and I picked one up along with my new Macbook Pro. I’ve been editing from it seamlessly ever since. The newer Samsung T5 drive is faster with a USB C 3.1 Gen 2 (10Gbps) interface, with official speeds of up to 540 MB/s (vs 450 MB/s for the T3). You can pick them up in 250 GB, 500 GB, 1TB and 2TB capacities, depending on your needs. Hopefully anyone who receives one of these will know that small things can be expensive! I’ve been a huge fan of Inside The Edit ever since it launched back in 2014. It is the best online course I know of, to teach you what you need to know to both create and craft compelling stories. And you’ll learn something useful, whether you’re a complete beginner or have been editing for a few years. It’s not ‘cheap’ at £399/year, but it’s great value for money, considering what you get. For more on that check out my original review here, or for some more recent thoughts, I recently reviewed the more advanced tutorials in the course, in this post from October 2017. 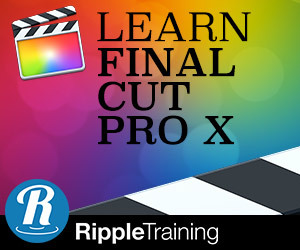 Although you can get a monthly subscription, you’ll want to factor in how long it will take you to progress through the detailed tutorials as well as the ‘homework’ assignments of actually cutting your own documentary too. The year’s subscription effectively gives you 10 months for the price of 12. The team behind Inside The Edit have been kind enough to partner with the blog to offer my readers a 25% discount on any subscription to the course with the promo code: JONNYELWYN. That would save you £100 on that yearly subscription, but only saves you 25% on the first month, if you opt for a monthly fee.